Talk to salmon recovery managers in King County about this year’s round of Cooperative Watershed Management grants, and they’ll describe projects that span the County’s watersheds: Science-based efforts to count out-migrating juvenile salmon; land acquisition for future floodplain restoration projects; noxious weed control and native tree planting along river corridors; and salmon-based educational programs geared for elementary-age kids. All are important, they say. And all just received a critical boost from this one-of-a-kind grant program, funded each year by the King County Flood Control District. What makes this grant program so vital, salmon recovery managers note, is not only that it provides needed funds for important projects. The program also brings partners together, enabling them to explore opportunities and set priorities, and acts as leverage for funds at both the state and federal level. All told this year, the Flood Control District issued $5.12 million in 42 grants to the four Water Resource Inventory Areas or WRIAs that oversee salmon recovery in King County. Most of the funding this year – as in years past – supports on-the-ground restoration and protection projects, said Janne Kaje, who oversees the salmon-oriented regional partnerships in the County’s Water and Land Resources Division. But grants will also fund monitoring programs and salmon studies, projects few other sources support, as well as outreach and education. Particularly important, Janne said, is the fact that the watershed partners – cities, tribes, nonprofits, and other groups – put forward the requests. “It’s not King County that decides what’s best. It’s the people who work in these watersheds who decide what needs to be funded,” he said. The program has been funded by the Flood Control District since 2012 and, before that, by the King Conservation District. It’s been in existence, in one form or another, nearly 20 years. So what are the highlights from this year? Here are a handful that stand out from each of the four WRIAs. Another noteworthy grant went to Sound Salmon Solutions, which will use the $99,898 award to conduct 11.4 acres of restoration along the mainstem Snoqualmie River. “It’s so important to plant trees along the banks of rivers, because they create shade, which in turn creates cool water that salmon need,” she said. A $60,000 grant to the Tulalip Tribes to continue the annual monitoring of juvenile salmon outmigration in the Snoqualmie River basin. A $28,431 grant that will enable King County to measure fish density in edge habitats in the Upper Carlson Restoration Project. A $75,000 grant to Forterra to purchase 26 acres of high-quality habitat along the South Fork of the Skykomish River near Baring. A $362,700 grant to Seattle Public Utilities will fund an acquisition project along the Cedar River that Jason called a high-priority, setting the stage for a restoration project that would reconnect the river with its floodplain to provide better habitat for salmon and reduce flood risk in the area. Much of the Royal Arch Reach about 15 miles upstream from the Cedar’s mouth is entirely within the channel migration zone. This acquisition – about a third of an acre – will support ongoing efforts to reconnect the river to its floodplain along this reach. Another significant project, he said, is a $583,142 grant to the state Department of Natural Resources to remove armoring around Bird Island near the mouth of the Cedar River in Lake Washington, which has taken away critical shallow areas that young salmon need to find food and steer clear of predators before heading out to Puget Sound. The shoreline enhancement project will enable project managers to remove debris, add sand and gravel, install log structures, and plant the shoreline area with native plants – all to create a more natural shoreline. Two projects totaling $299,972 to the Washington Department of Fish and Wildlife and King County to fund critical monitoring of juvenile Chinook salmon and spawning adult salmon numbers, providing data that will enable salmon managers to better understand whether or not the watershed’s salmon populations are improving. A $81,312 grant to Forterra to initiate efforts to control invasive Japanese knotweed and restore native plant communities along Bear Creek, a tributary to the Sammamish River, by applying a highly successful model for engaging landowners in controlling invasive species and restoring riparian areas. 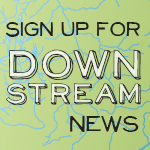 The high-visibility project will support Kent’s efforts to construct nearly 2,000 lineal feet of side channel to the Green River, providing rearing and refuge habitat for threatened Chinook and other salmon species. It also provides 130 acre-feet of flood storage to reduce flooding in both urban and agricultural areas near this stretch of the Green. A $250,000 grant for acquisitions along the lower Green River, allowing for future restoration and habitat improvement efforts. A $90,000 grant to the state Department of Fish and Wildlife to operate a smolt trap to measure outmigration of juvenile salmon. A $21,000 grant to Seattle Aquarium’s Beach Naturalist Program, which trains volunteers to engage the public about the importance of the nearshore environment. WRIA 10, which is only partly in King County, applied for two grants, both of which were funded. One is a $113,050 grant to fund a portion of the construction costs of the Middle Boise Creek Riparian Restoration Project. Boise Creek is a tributary of the White River – and while it’s been heavily modified, it’s also highly productive for salmon, said Stephanie Shelton, a senior ecologist in the County’s River and Floodplain Management Section who leads King County’s salmon recovery efforts in WRIA 10. The other is a $113,050 grant to the Puyallup Tribe to monitor the outmigration of juvenile salmon on the White River, a project that will provide critical data to help target recovery efforts in the watershed. The White river hosts ESA-listed spring-run Chinook, the last existing early returning or “spring” chinook population in southern Puget Sound, Stephanie said, and restoration efforts are ongoing.